Rahayu had lost her home, her family and her eyesight - all at a very young age. 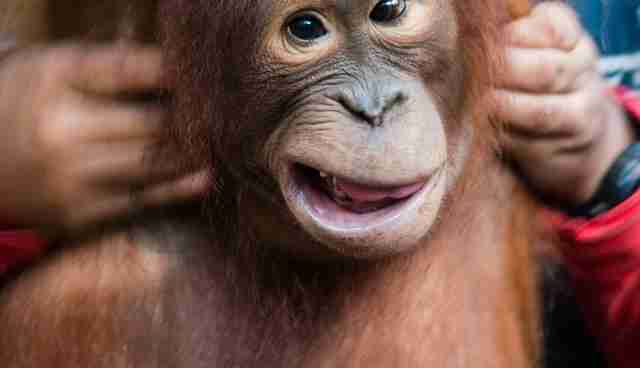 The orangutan first arrived at the International Animal Rescue (IAR) emergency rescue center based in Ketapang, Indonesia, in 2011. 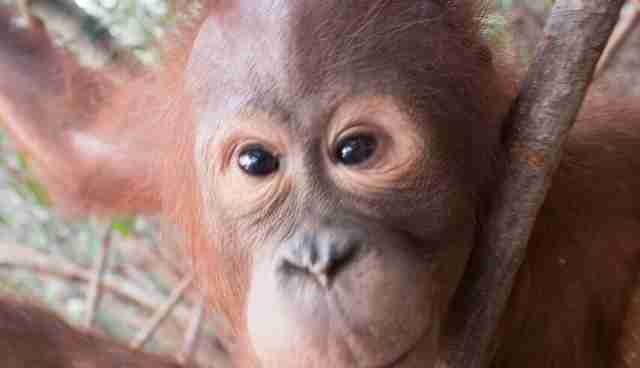 Rahayu was initially found by locals near an area where a palm oil company was located. 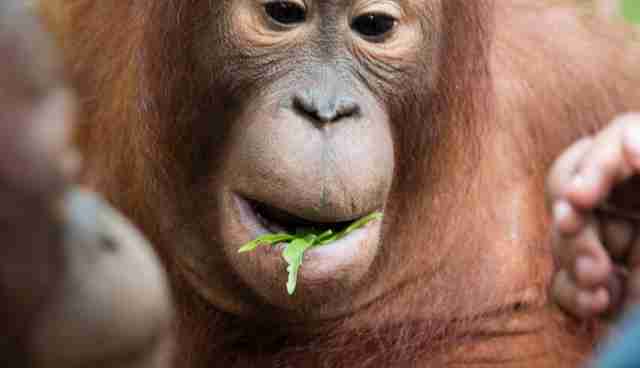 Due to the arrival of the palm oil company, the area was deforested and many orangutans were displaced, according to IAR. 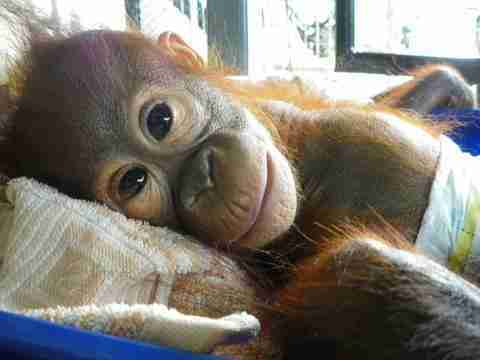 "It is a wonder that more baby orangutans haven't been found there," IAR wrote in a blog post. 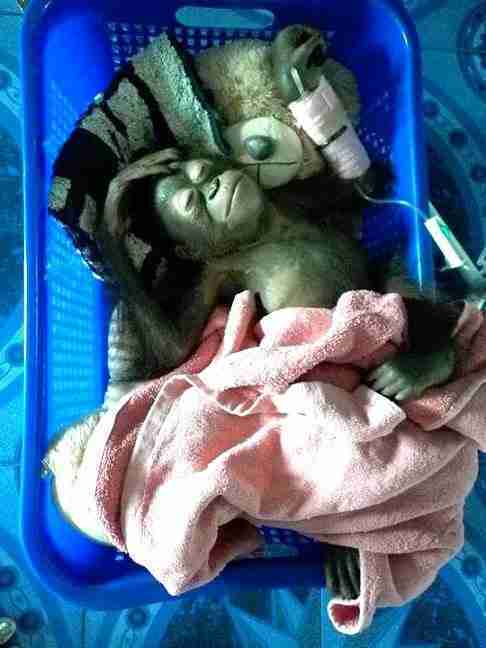 "The official version the villagers gave was that the baby had fallen from a tree they were cutting down. They also said the mother had abandoned the baby and run away when the tree fell." 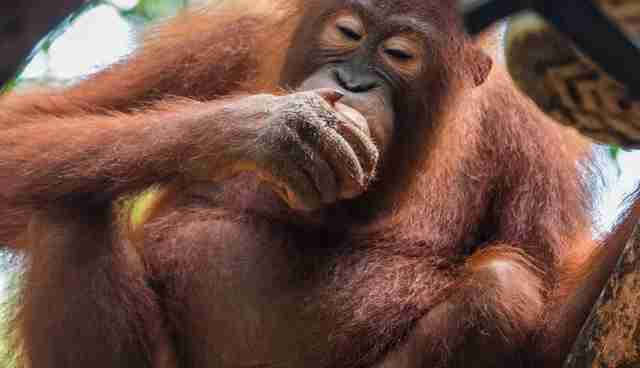 However, IAR noted that Rahayu appeared as if she had been separated from her family and the forest for an extended period of time - her skin was soft, and orangutans who come from the forest usually possess hard, dark skin. Whatever the story was, the fact of the matter was that Rahayu was in a dire state. She was dehydrated, suffering from a high fever and couldn't see - she had no blink reflex and didn't follow food with her eyes when it was held in front of her. 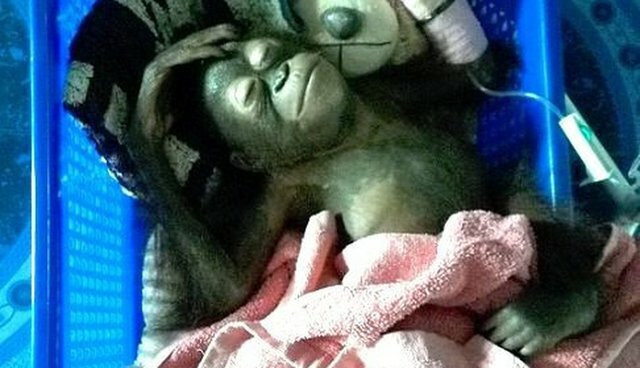 A detailed veterinarian examination revealed that Rahayu exhibited symptoms of cerebral malaria. The disease is a form of malaria that causes a variety of neurological issues, including deafness and blindness. 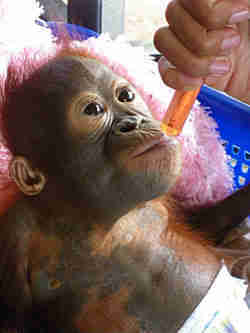 Her life was at risk, but after Rahayu was given medication for the disease she started to improve considerably. Fast forward to today - not only has Rahayu survived her difficult ordeal, but her vision has been fully restored as well. 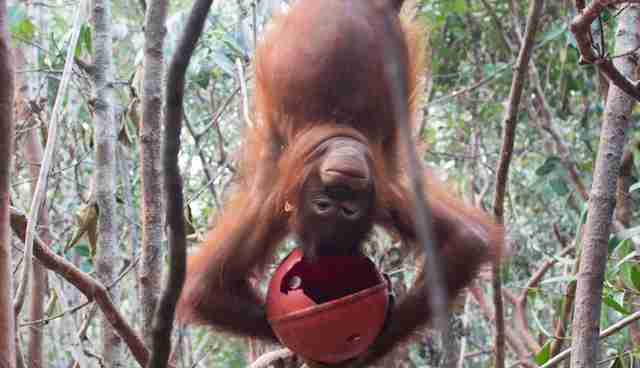 "She's still in our center and now attending forest school where she's learning all the skills she will need when she returns to the forest," Lis Key, communications manager for IAR, told The Dodo. Rahayu has grown up to be a tough girl who doesn't take no for an answer. 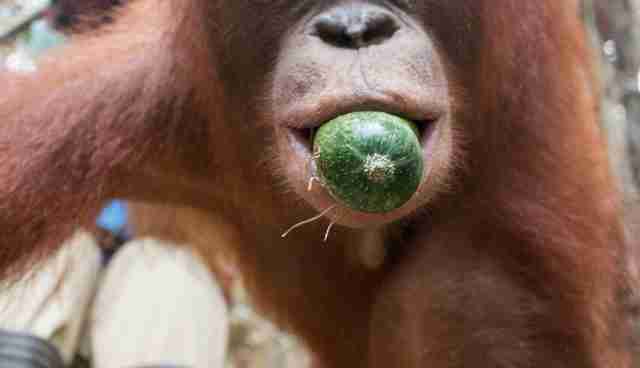 "She is an independent orangutan," a recent update from Rahayu's caretakers said. "When she wants to play, she will play with anyone. Sometimes she is too late to come when lunch is ready, and when that happens, she whines and pokes the keepers to ask for extra meals." Key noted that these are all good signs that Rahayu has what it takes to fend and protect herself once she's eventually returned to the wild. "The cerebral malaria doesn't seem to have left her with any permanent damage and certainly hasn't affected her ability to climb and move around in the trees," Key said. "I'm not sure that whining and poking the keepers will be of any help to her out in the wild but it does indicate that she's a strong character who knows what she wants." Want to help IAR continue doing good work for animals in need? See how you can make a contribution here.